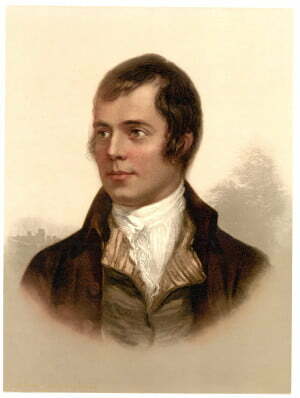 This series of events in tribute to the famous Scottish poet, Robert Burns, includes a 3-piece Burns Supper (Tuesday 20th – Thursday 22nd), a musical celebration of the works of Burns and Neil Gow (Friday 23rd), live performances of Burns’ poems and songs with music and commentary (Saturday 24th), a ceilidh in the Storytelling Court (Tuesday 27th), and an expert telling of Burn’s Tam O’ Shanter (Friday 30th). Prices vary by event (the ceilidh is free) and concessionary rates are available upon supplying proof of entitlement, generally to under 18’s, students, over 60’s, and unemployed people. All bookings made online, by telephone, and in person with a bank card are subject to a £1 booking fee. The box office can be reached on 0131 556 9579 and is open from 10am-6pm Monday to Saturday. The BANFF Mountain Film Festival is one of the world’s largest celebrations of outdoor adventure, the environment, and mountain culture, and is held each November in Banff, Canada. The World Tour brings the best films of the festival to around 40 countries across the globe, and will be returning for its 6th year in the UK. There are 2 programmes of screenings to choose from, Red and Blue; both are on show at Edinburgh’s Festival Theatre on the 24th, with the Blue programme commencing at 2.30pm and the Red at 7.30pm. Each programme includes 8 films in an eclectic mix of styles, from documentaries to action films, and lasts just over 2 hours. Listings for each can be found on the ticketing page. Tickets begin at £13.50, with a range of fees, discounts, and concessions available depending on how tickets are purchased, the number attending, and whether they’re seeing one or both programmes. A free and unticketed party is also scheduled to follow the Saturday Night Extreme Session from 10pm on the 7th, so attendees can enjoy the camaraderie among the adventure sports community in The Meadow Bar nearby. This annual celebration sees recitations of Burns’ work throughout a Burns Supper, a traditional meal including haggis neeps and tatties, and Scotch whisky. The occasion can be celebrated with a formal dinner or small household gathering, and may involve participation in ceilidhs. For details of the typical proceedings of a Burns Supper and a list of organized events scheduled around this tradition, see Edinburgh Tourist’s guide. This annual festival of international visual theatre and film (including puppetry and animation) boasts a number of world, European, and UK theatrical premieres. There are 2 Edinburgh venues for the festival; The Traverse Theatre on Cambridge Street, and Summerhall near the Meadows (for the festival’s masterclass programme). Pricing for the Traverse shows varies (discounts are available, and some are free), while the Summerhall workshops are £125 each. Details of the events taking place in both venues can be found here – simply apply the filters for ‘Traverse’ and ‘Summerhall’ on the left. This annual event comprises a series of films, lectures, and exhibitions promoting mountain adventure. Edinburgh University’s George Square Lecture Theatre will again host the programme; you can find an overview of the festival here, and a comprehensive film and lecture listing for each evening here; tickets can either be bought online or at the door, subject to availability. This annual international rugby competition between 6 European nations has Scotland take on Wales on Sunday 15th February, Ireland on Saturday 21st, and Italy on Saturday 28th. Tickets can be purchased from the Scottish Rugby online ticket centre, the Ticket Hotline on 0844 335 3933 (open from 7am to 10pm every day, charge local rates), or in person from the Scottish Rugby Ticket Centre at Murrayfield Stadium and The Hub at Castlehill. Tickets begin in the £15-20 price bracket for under 18’s and £30-35 for adults (student tickets are currently sold out). A method of purchase charge (30p for a debit card and 50p for a credit card) and booking charge (£2.40) also apply to each Adult ticket purchased. As usual, we’ll provide reminders and ongoing coverage of several of these events on our Facebook and Twitter channels, so follow our accounts to stay up to date. Finally, let us know what you’re planning to do in Edinburgh this January and February using the comments function, and stay tuned to this blog for future entries in the series and more besides.